When East meets West; Cartier on Tour ! 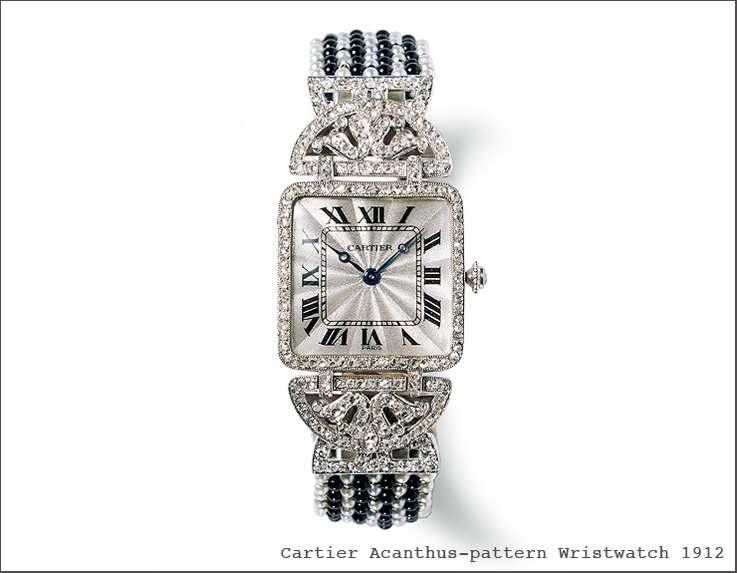 Cartier’s creations have often been inspired by cultures and styles form other continents. Pierre Cartier travelled almost from the beginning all along the globe, to visit prominent clients and to be inspired by habits and traditions of other cultures. We have seen the influence of China and Japan in the collection, the effect Egypt had on some creations and not in the least Russia. 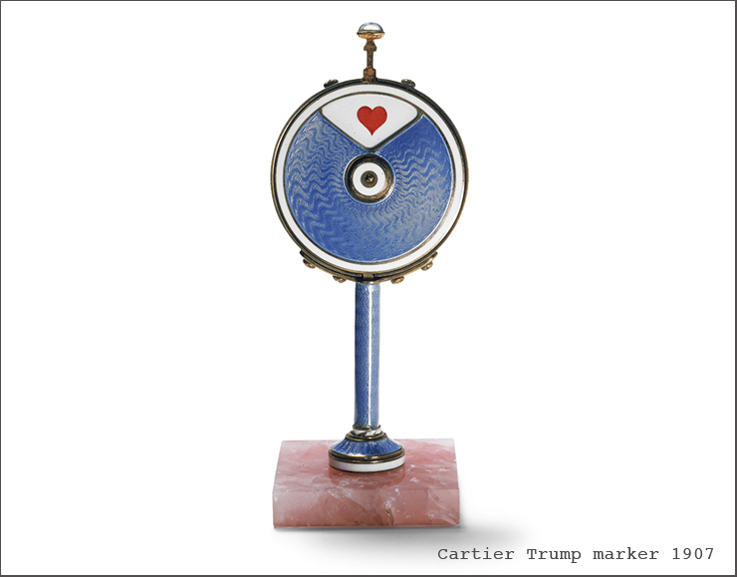 Russia is an important market for Cartier, not necessarily because the economy in Russia is doing well these days, but mainly because of the long term relations La Maison has with Russia. 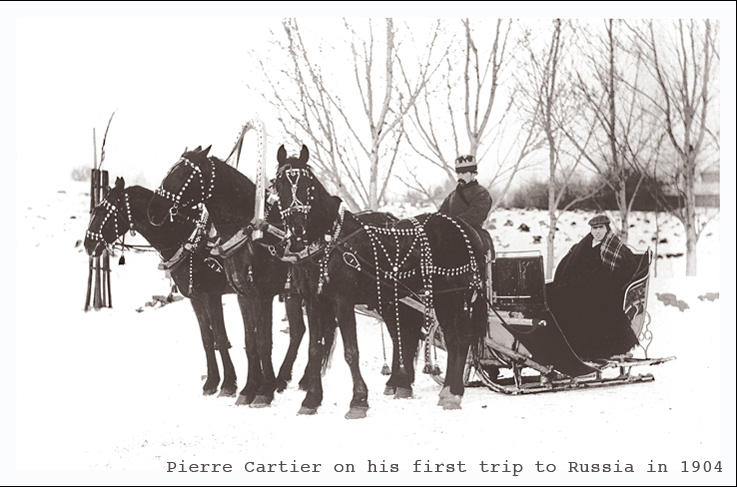 More than 150 years ago, at the end of the 19th century, around 1860, Cartier quite regularly delivered items to the Imperial Russian court, for the Christmas celebrations. 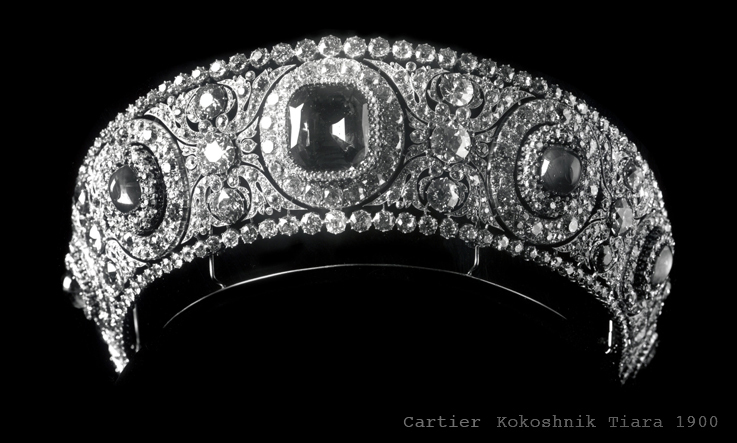 Cartier’s first Russian client, was Prince Saltikov who acquired an emerald bracelet and it was his enthusiasm that the jeweller’s reputation, established at the Imperial court. Visits were paid back and forth and the Grand Duke Alexis and Grand Duchess Maria Pavlovna always paid Cartier a visit, when they were making a trip to Paris. Animal statuettes, small clocks, writing instruments, powder boxes and cigarette cases were popular items, that were often bought as gifts for family and friends. Many of these prominent clients, tried to convince Cartier to open a boutique in St Petersburg and not completely without result, since a temporary exhibition was arranged there in Christmas 1907, in the Grand Hotel Europe on the bank of the Neva River. 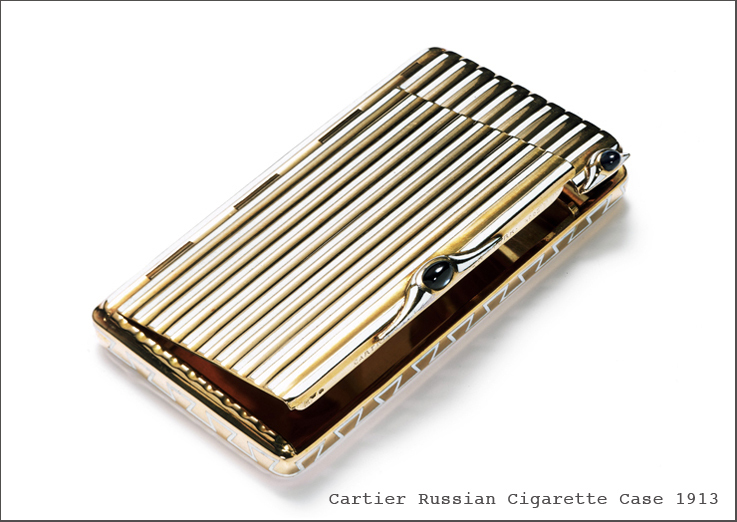 Cartier was enchanted by the Russian style and creations and the Russians were impressed with the style of the Cartier products. 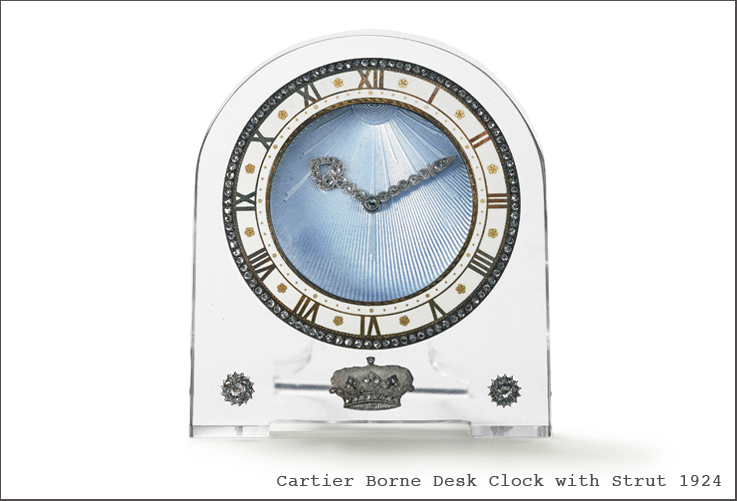 At the time the collection was not mainly based on jewellery and watches, but also on clocks, pens, cigarette cases, toiletry like sets with combs & brushes etc. And not too forget the special orders that were often produced, to meet the need of the celebrities. The dog collar for instance, composed of six rows of pears, embellished with two imperial eagles in diamonds, that was ordered by the Grand Duchess Vladimir in 1900, is a unique example. The atmosphere and entourage inspired Cartier tremendously and one of the more unique creations that flow from that inspiration, was the kokoshnik tiara, that was designed in 1908, which combined the garland style, with a rustic Russian headdress. Made in sapphires and diamonds, the tiara features a cushion-cut sapphire of 137.20 carats surrounded by six sapphire cabochons for 102.16 carats on a mount set with round diamonds. Another important source of inspiration that needs to be mentioned was Fabergé. 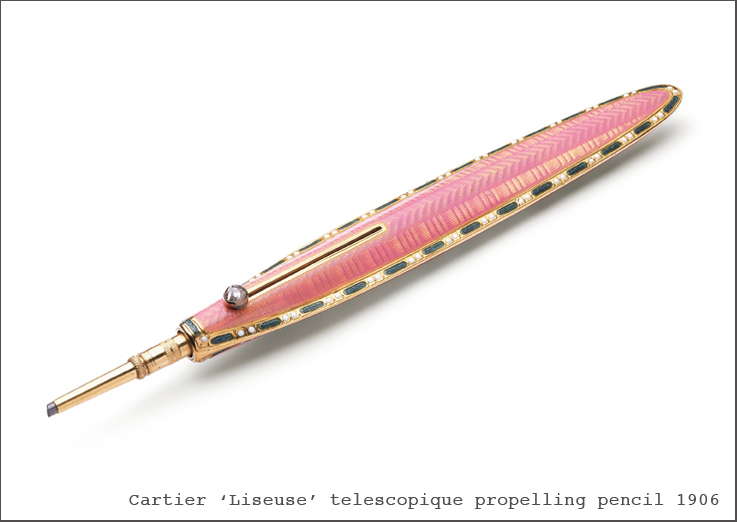 Louis Cartier was in his early twenties, when the two ‘pioneers of luxury’ met. Fabergé, admired as the greatest goldsmith of his time, was not only well known for his famous eggs but also for his statues made in semi-precious stones which were all the rage in Saint Petersburg. 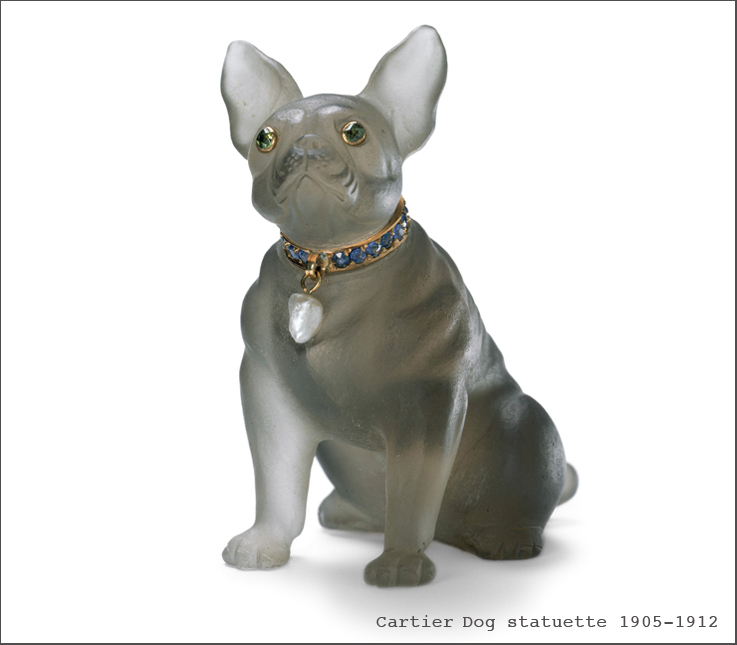 It did not take long before Cartier’s clients convinced Cartier to produce his own interpretation, of these little creatures, such as the little dog, produced in smoked quartz. It’s very inspiring to see how Cartier and Russia influenced each other and it’s obvious that Moscow and St. Peterburg were and still are strongholds of design, art and architecture. I have until now, not had a chance to visit Moscow yet, but I am afraid that my suitcase is packed and ready to go.